Last year, Mercedes-Benz showed off a heavily camouflaged copy of its electric Urban eTruck. Now, less than a year later, it’s time for the eTruck to hit the road. The Urban eTruck uses three lithium-ion battery modules that combine to produce an all-electric range of about 124 miles, which is enough for a day’s worth of urban deliveries. With a current max payload of roughly 28,000 pounds, it’s more capable than your average box truck. The truck isn’t on sale yet, per se. Mercedes will first deliver a “low two-figure” number of trucks to German customers, eventually expanding across Europe. There will be two sizes, 18 tonnes and 25 tonnes (based on gross vehicle weight), and it will be offered in three configurations — refrigerated body, dry box body and platform. Owners will take possession of the trucks for 12 months, using them daily and charging them as any other EV owner would. 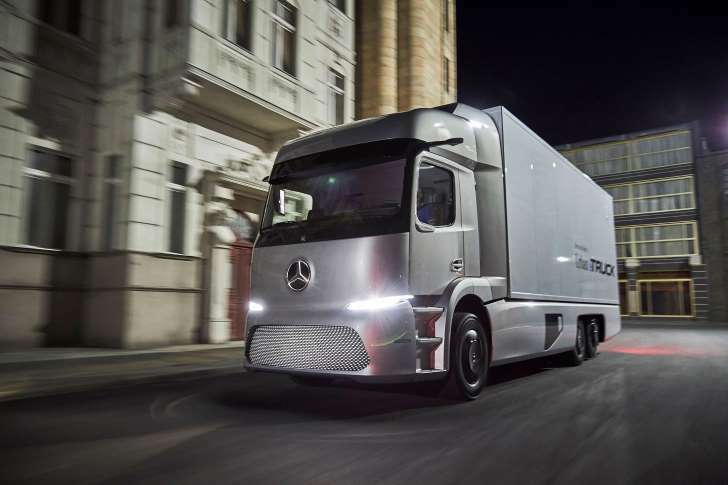 Mercedes will take the data from this pilot program and use it to further optimize its truck, based on whether or not it can handle daily use and abuse. The goal is to set up for a proper rollout some time before 2020. By that time, battery prices should fall and capacity should continue to rise in turn. We’re still a few years off from electric long-haul trucks, but it’s not for lack of trying.